I was struggling for so long with my badly maintained books. I was scared to take it to my local accountant as they would charge me a fortune to get it up to date. Luckily, I googled and found Integra. They manage my complete bookkeeping and everything is up to date. They are so reliable and yet their prices are so affordable for a small business like ours. Bookkeeping Accounting: A Story that Our Grandfathers Never Told! Do you remember those good old days when your grandfather was still around? You were perhaps little and not one night had gone by when he did not tell you a bedtime story in his own animated style! To each of us, our own grandfather is the 'master storyteller’, no matter what 500-page hard cover novels claim! But here is a story that he probably never told you when you were little– the story of why he sat by the oil lamp every night doing some furious math! Bookkeeping accounting – what is it all about? So, when you were little you did notice your grandfather writing something every night by the oil lamp. When you went closer, you found that he was doing some calculations. You wondered, "What is he doing adding up numbers, when he should be sleeping!" Well, that furious math, my friend, is called bookkeeping accounting! When you are running a business, you are likely to come across income and expenditure every day. Bookkeeping accounting is nothing but the process of keeping a record of these financial transactions, however small. Let us say, all those years back your grandfather was doing his usual grocery shopping. On his way home, his eyes fell on a cute little toy car for sale. It was not on his shopping list but he had this desire to see his grandson's face light up as he held out the toy! So, that was an additional expense, one that he had not really planned. Then, he knew he had to be careful and adjust this with the following day's purchases. So that night he made a note of the purchases - grocery items plus the toy. He did some addition and subtraction so that he would know how much he could spend the following day. That is exactly why bookkeeping accounting is indispensible. When you keep track of your financial transactions, you will know exactly how much money you spent and received. This would enable you to plan your spending in the future. This would also show neatly your financial state of affairs to a third person, say, a tax authority. Thus bookkeeping accounting is indispensible indeed. Your grandfather was perhaps not fortunate enough to have QuickBooks and Peachtree during his time. Nevertheless, his brain did the trick. It took some time, yes, but it did. But hey, now you are lucky! With the advancement of computers and technology, bookkeeping accounting can be done easily with the help of software, eliminating the need for little notebooks. You can either manage it yourself or appoint a bookkeeper to do it for you. How the story of bookkeeping accounting can have a ‘happily ever after’ ending! The trouble with owner managed bookkeeping or an in-house bookkeeper is the loss of resources like time and money, respectively. Your grandfather spent nights by the oil lamp because he could afford the time. And mostly it was just vegetables and fruits – and sometimes, yes, cute little toy cars! But when you are running a small business, you cannot afford to waste time recording financial transactions, when you might have better things to do. Nor can you spend heavily on appointing and training a bookkeeper. However, when you outsource your bookkeeping accounting activities, you stand to save both time and money. 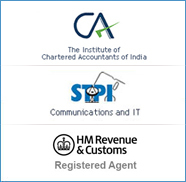 Outsourcing companies such as Integra offer expert bookkeeping services at greatly affordable prices. Let us manage your bookkeeping and you can live happily ever after! And this is the story that your grandfather probably never told you – the story of how doing furious math everyday (not necessarily by the oil lamp) can help you run your business better!